Hungary, Romania, Bulgaria, Slovenia. Where else? In Hungary, the government of Prime Minister Victor Orban took a course of an overhaul of the Constitution, which raised a great lot of questions about whether Hungary is not scorning the fundamental European values. In Romania, the inter-institutional war last year led to an early report under the Control and Verification Mechanism (CVM), where the country shares the company of Bulgaria and which is aimed at raising their judiciary systems up to the European standards. But instead of an improvement, last year a retreat was noticed that forced the Commission to tell the Romanian authorities directly that high officials should resign more often even with the slightest suspicion of corruption. In Bulgaria, the last four years of Boyko Borisov's rule, the former bodyguard of the last Bulgarian dictator Todor Zhivkov, started an active process of concentration of power in his own hands, of a disintegration of state institutions, of the political system; the organised crime not only was not crushed, but it even started to flourish which is visible in the Bulgarian streets. And the campaign for the early elections on May 12 turned into something unseen so far in terms of meanness, arrogance and ugly suppression of the few left rules - illegal eavesdropping, abuse of power, illegal links between the executive and the prosecution, state tolerance of one bank - in a nutshell all the illnesses which Bulgaria was supposed to have cured already in the framework of the CVM, not only have not been, but are spreading like cancer metastases. And the one-time excellent performer of the Eastern block - the first country not only from the former communist camp, but from former Yugoslavia, that succeeded to achieve the average level of standard of living in EU, joined quickly the eurozone and created the feeling that it has indeed returned to the European family after long absence - now is on the verge of becoming the fifth country that will ask a bailout. For months, since the end of last year and the beginning of 2012, Slovenia was shaking with mass protests not only in the capital Ljubljana, mainly directed at the corrupt political class and against the status quo in general. One of the most circulated newspapers in the country even started collecting opinions by readers about the renovation of the political system. And all this against the backdrop of the economic crisis which has entered into its sixth year both in the euro area and the EU at large. Also against the backdrop of the forthcoming accession of the 28th member - Croatia - for which as well there were voices to be included in a some form of post-accession monitoring due to the lack of confidence in the sustainability of its reforms and in the genuineness of the planned measures by the government. The introduction of a structured political dialogue, bringing the issue to the Council at an early stage, concluding a binding agreement between the Commission and the member state and even, as a last resort measure, suspension of EU funds. Those are some of the measures proposed by Denmark, Germany, The Netherlands and Finland in a letter to the European Commission sent in the beginning of March. The letter was sent just a short while after the publication of the draft report of the European Parliament on the troubles with rule of law and fundamental rights in Hungary. "At this critical stage in European history, it is crucially important that the fundamental values enshrined in the European treaties be vigorously protected. The EU must be extremely watchful whenever they are put at risk anywhere within its borders", the foreign minsters of the four countries write in their letter. "The credibility of the European project depends on us living up to the standards we have given ourselves. This is especially so at a time when Europe is deeply shaken by a crisis of confidence which has ensued from the financial turmoil in the eurozone. The erosion of confidence that has taken place extends far beyond financial and economic policy. For many it has cast doubt on the future of the European project itself. Our response must therefore also go beyond the ongoing efforts to overcome the debt crisis", the letter which euinside got its hands on reads. Ministers Guido Westerwelle, Frans Timmermans, Villy Søvndal, Erkki Tuomioja want the Commission to establish an effective mechanism that will defend the fundamental values in the member states when necessary. The letter was discussed by the EU foreign minsters during their meeting on April 22 in Brussels. This is how the response of the Commission can be summarised in short. Right after the review of the matter in the General Affairs Council on April 22, European Commission Vice President Viviane Reding said that one of the big challenges for the establishment of such a mechanism is that it will have to be supported by all member states and by the national parliaments. 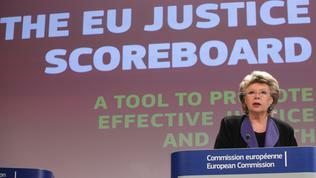 Besides, Viviane Reding said, she and President Barroso believe that coherence is needed. In the EU, there already are standards that serve as a prerequisite for EU membership - the famous Copenhagen criteria. The Commission believes that those criteria are an important precondition for a country to become a member of the Union. All the above mentioned countries, without any guarantee that they will be the last, were pronounced ready for EU membership (in 2004 and 2007 respectively). In other words, it was determined that they had fulfilled the Copenhagen criteria. The Commission admits that the institutional agreements in their current form in the European treaties have their limits. What can be done is to initiate infringement procedures which usually end with fines paid by the taxpayers of the guilty countries and practically serve the purpose of stoning during election campaigns, but rarely preventing severe violations of the European values. 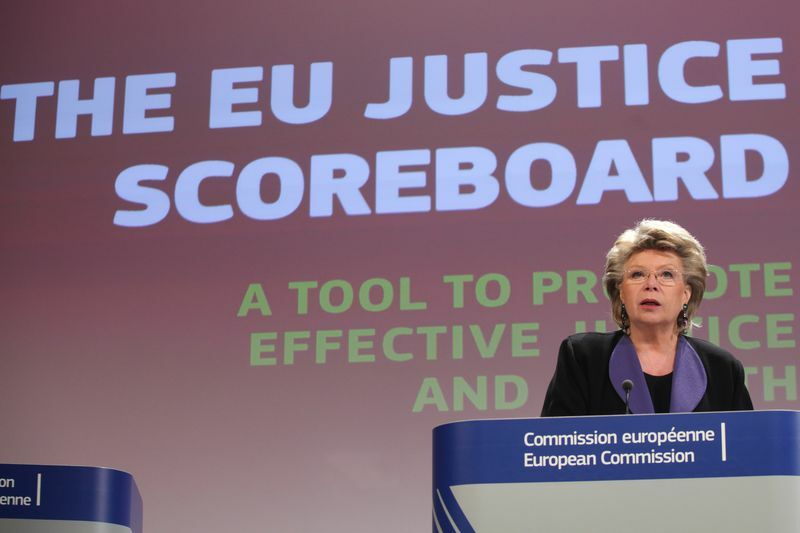 The Commission also has in its military armoury Article 7 of the Treaty for the European Union (TEU) which, however, Viviane Reding compared on a number of occasions with the "nuclear button". "And one should think twice or better even three times before resorting to this instrument", the European Commission vice president said. In addition, the Commission points to its experience with the CVM for Bulgaria and Romania which was quite useful for progress, in Ms Reding's words, and remains an appropriate instrument to assist the reforms efforts. Something which a few people believe probably only in Berlaymont. In March, another "soft" weapon was presented by the Commission - the system for assessment of the work of the judiciaries in the member states. 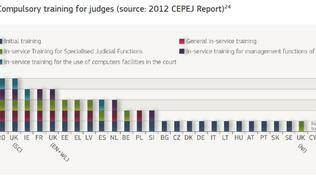 The system was introduced as a supplement to the European Semester with the aim to ensure efficient, independent and high quality judicial systems in Europe. The improvement of the judiciary contributed to restoration of growth in Europe and to enhancing the structural foundations necessary for sustainable growth. A fact of life. The problem with the evaluation system, however, is that it is too superficial and does not diagnose some inherent problems of the ill judiciaries, such as in Bulgaria. The main indicators used in the system are the length of proceedings until a case is resolved; the ratio of the number of resolved cases over the number of incoming cases; the number of pending cases; rate of introduction of ICT in courts; availability of alternative dispute resolution mechanisms; training of judges, resources. 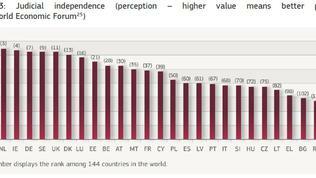 With a large share of those indicators Bulgaria stands pretty well, but is this so? Regretfully, the Commission refused to present a report on Bulgaria, too, in parallel to that on Romania, which for sure had a harmful impact on the situation in the country - a lack of external stick for the government fed its feeling of impunity. The CVM reports reveal in a much richer extent the condition of the judiciaries of the two countries. In end-November, the Commission will organise broad debates about the role of justice in the EU in which will take part high level leaders from the member states, the EU institutions, judges from supreme courts and not only, legal professionals and in general all interested parties. All those measures are hardly a good response to the letter of the four ministers who want a possible future mechanism to be triggered swiftly and without any political expediency. The mechanism must be targeted at the deficits in a country at an early stage and with the support of the member states to be demanded the country in question to correct immediately. Although nothing more specific than what was already mentioned is pointed out, the foreign ministers of Germany, Denmark, The Netherlands and Finland practically insist on the introduction of a political troika, similar to the economic one which steps in with the adjustment programmes for troubled eurozone countries. It is such a political troika that this website called for in February when Boyko Borisov's government resigned. The ministers want this mechanism to be triggered no matter the country which means that it could be applied on Italy as well which, too, looks a very appropriate candidate especially after the fiasco with the parliamentary elections and the election of a president last month. The idea is wonderful, but with time it will become more difficult to implement it because the more time passes - the crisis creates crooked political practises - in more countries the rule of law will be falling ill without the proper cure to be invented. It is true that the treaties offer nothing more than what the Commission is trying to apply, but it is also true that the economic troika was also not part of the European legislation and now it works quite successfully in spite of the moan of affected countries. Moreover, some countries with an economic troika need a political one as well to work in parallel. Such, for instance, is Greece. Not undertaking measures will for sure deteriorate the situation in some parts of the EU, it will further undermine the already depleted confidence in EU's capabilities to defend its own values and will turn the Union into a rabble of completely uncontrollable subjects who are trying to get whatever they can without any common goal or direction. The result then will be clear - those with similar views about what rule of law is and how important it is for economic and democratic prosperity, will unite in another union. If this is what we want, then we can continue hiding behind the already too worn out for the current problems European legislation.